Is the way we look at the world, changed? With the onset of the Internet-era, the way we communicate, the way we share and receive information has changed. In the realm of Internet Technology, changes are constant and we’ve come a long way. From creating a network for voice communication and sharing research data to a worldwide information exchange facility where textual and multimedia content deliver ideas and expressions from people all over the globe. New HTML and VR/AR standards are pushing the content creators and consumers towards an Immersive Internet where our realities would cross-fade. But with all these changes, questions arise. When will our interaction experience get a complete overhaul? When will the medium we use to access web content, the Web Browsers, change? When will we able to look at the web differently? With years and years, we’ve stuck to the same web browsers with minimum improvements coming in with every patch. Apart from the usual bug fixes, security updates and occasional minor UI and UX changes, there aren’t any updates designed to completely revolutionize the way we interact with the web and make the whole experience, much more immersive and different. Yes, while sticking with the quintessential Google Chrome or Mozilla Firefox might be your best bet, a peek into the future is awaiting those who have the guts to walk into the portal of a futuristic web experience that (is filled with bugs and) I can’t wait to find out! Also, feel free to check out the featured browsers yourself by simply clicking on their title. Exclusively designed to be used on stand-alone AR and VR devices for a completely revolutionized web experience. Available for the HTC Vive Focus, Oculus Go, and other VR-ready standalone devices (like the Pixel 1 & 2, Galaxy S8 & S9 and more) on the Viveport, Oculus and Daydream app stores, Firefox Reality is a medium to access 3D web content straight from your device without the hassle and security risks associated with installing third-party add-ons. 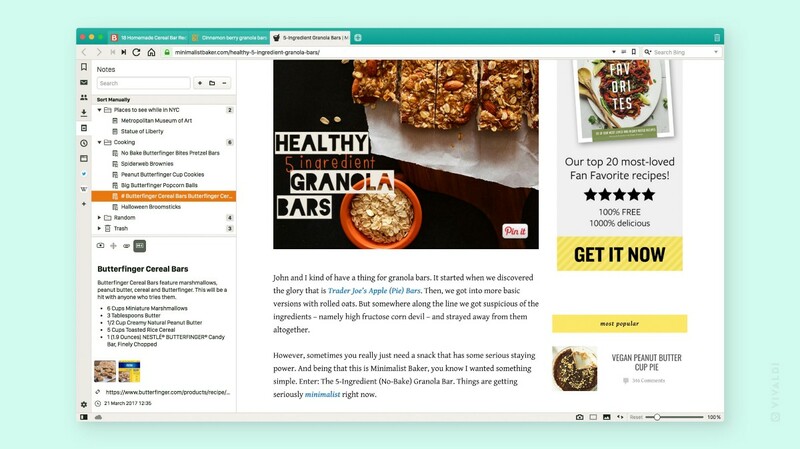 With the recent release of Firefox Reality 1.1, on top of performance improvements, the update includes support for seven new languages like Chinese, French, Italian, German and more. Also, support for Voice Search and 360° Videos have increased user accessibility and interactivity overall. As Reality would be open source just like Firefox, this provides developers with the ability to craft handy extensions and improvements easily. 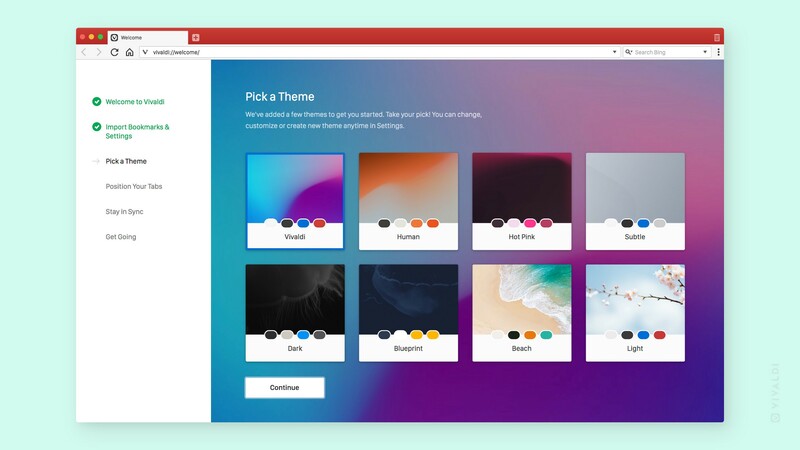 Future developments take aim at bridging the gap between this experimental browser and the everyday ones while differentiating itself from the rest. A detailed insight into Firefox Reality is available here. Built to change everyday browsing with a minimalistic look yet a powerful user experience. Designed as a concept browser by Opera, this is still an experimental browser and is currently available for Windows and Mac only. Personally, the simplicity and the ‘clean and minimalist’ look of the browser won my heart. There are some cool features like an in-built snipping tool with it’s photo gallery and the ability to play, pause and control the timeline of videos and songs playing in the background and have pop-out windows for the same. The multi-tasking potential that this browser shows is amazing and showcases how various web applications can work simultaneously to create a wholesome web experience. However, it isn’t quite ready as I experienced multiple crashes when I was trying it out but again, it is only a concept browser and far from a full-fledged consumer product. Another issue with it would be it’s lack of screen real estate. 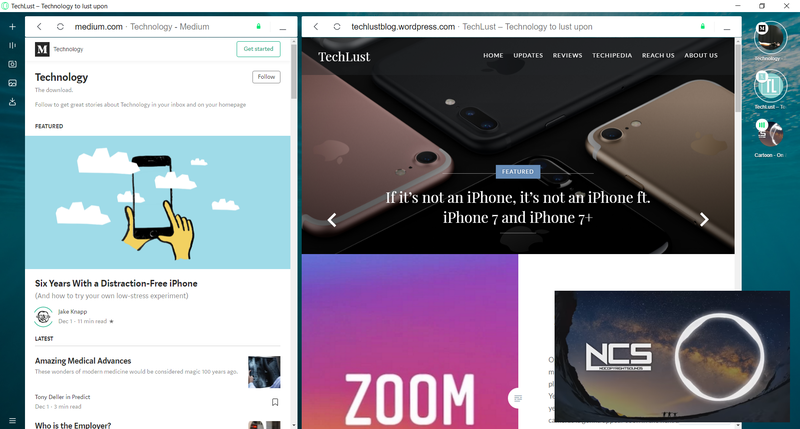 A lot of the screen space is consumed by the side bar and the window bubbles and there isn’t any way to go full-screen(on Windows) which again makes it look like it was built only as a Browser UI showcase demo leaving out a lot of common everyday browser functionalities. A quick review on the Opera Neon can be found here. A VR browser with a rogue-like flair to it trying to push boundaries in the realm of VR web content. 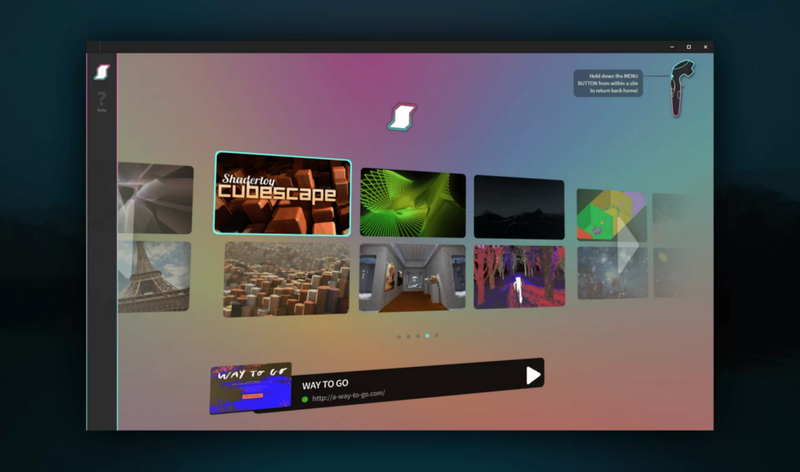 Available on the Steam and Oculus store, this browser promises immersive 3D web content consumption on PCs via the Oculus Rift, HTC Vive and Windows Mixed Reality headsets making it much better than Firefox Reality which currently only supports standalone VR devices but again, both of these browsers have their own category of supported devices. Firefox aims at standalone AR/VR devices while Supermedium targets windows devices with support for AR/VR headsets. Made by a small team of 3 people, Diego Marcos (Developer), Kevin Ngo (Developer) and Diego Goberna (Technical Artist) are really trying to create a browser of the future for possibly multiple OSs but for now, they are only continuing Windows support. Again, it is very experimental and hence, bugs and crashes are frequent but as a tech demo or a “browser in the making”, it gets a pass, especially when you also consider how revolutionary it is and also the limited team size they have cannot be neglected. See what can be done with Supermedium here! All this is wonderful though! The ongoing developments in the area of VR/AR browsers and the updated WebVR standards will hopefully inspire bigger companies like Google and Microsoft to dish out their own delicacies as well satisfying the hunger for futuristic browsers that excel in creating immersive experiences. But for now, alternative options like Firefox Quantum (See, how it promises unprecedented performance!) 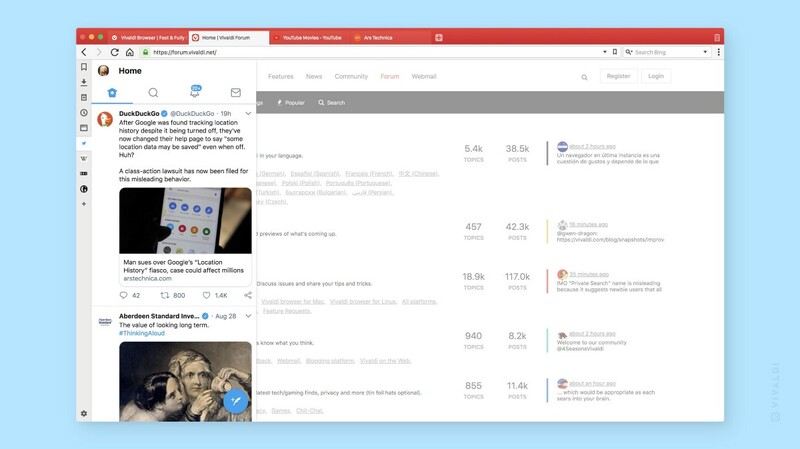 or Vivaldi (with options for extensive customization) would be much more reliable for everyday browsing. Hopefully this article would’ve given you an insight into the future of web browsers and if you liked it and want to let your friends and family know about it, please clap (As many times as you want! No limitations here! You can release your anger here. ), share and comment on it.